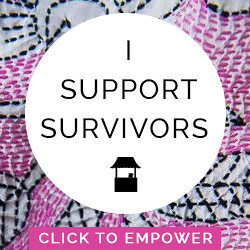 The following post was written by my mom, WWW (those are her initials, btw). Thanks, mom! Mix all the dry ingredients together. Whisk the eggs until blended and foamy. Add buttermilk, oil, and vanilla to eggs. Add wet to dry and mix until coated but don’t over mix. Add blueberries and gently stir in. 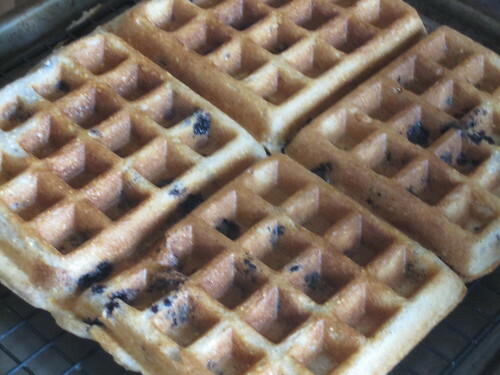 Cook in waffle iron. For the past two years, I have lived mostly gluten free. I do not have celiac disease, but I do have an undiagnosed disease that causes inflammation in various parts of my body, so many doctors, both medical and alternative, have suggested I eat a gluten free diet. It’s not easy cutting out gluten—it requires diligence and a positive attitude. Luckily, at least, we live at a time when there is an awareness of gluten and companies are required to list ingredients on the food that we buy. But it still can be extremely frustrating, especially when eating out. So many foods have gluten hidden in them. For someone with celiac disease, it is an absolute necessity to stay away from gluten but it can get tiring to ask for ingredient lists every time you order. Buying a phone app to help find gluten-free friendly restaurants is really helpful, especially when traveling. It is hard to give up foods that we love—like artisan breads and chocolate croissants for me, or in David’s case, beer. One of David’s hobbies for the past several years has been home brewing. Beer is made from gluten-containing barley (and/or wheat) so it was looking pretty bleak for him to continue his pastime. After he recovered from the initial shock of his diagnosis, however, he started researching gluten free beer, ordered alternative grains and began to experiment with recipes. 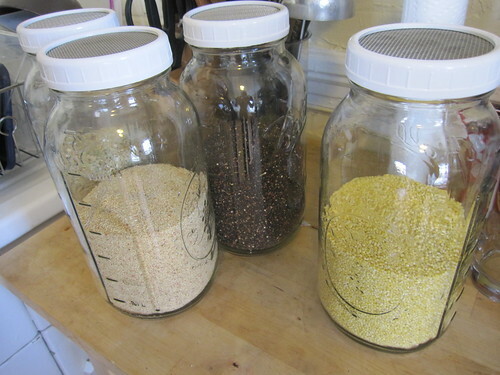 Although you can buy already sprouted grains (here and here), David bought large mason jars with mesh lids for his grain sprouting operation, the first step to brewing beer. A few weeks ago I mentioned that soaking grains makes them more nutritious. Sprouting grains makes them even more digestible and more nutritious since after sprouting, the grains are “alive.” If you want to learn how to sprout grain, you can find everything you need to get started at www.sproutpeople.org. 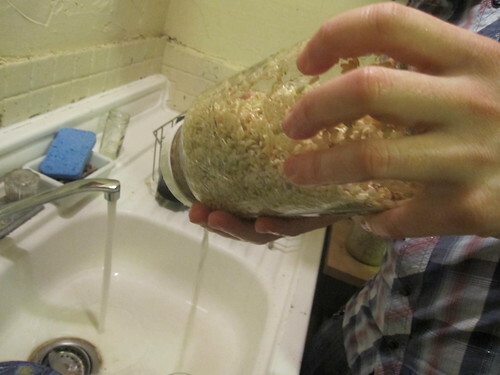 Basically, you want to soak the grains for a period of time, then rinse and drain several times over several days. 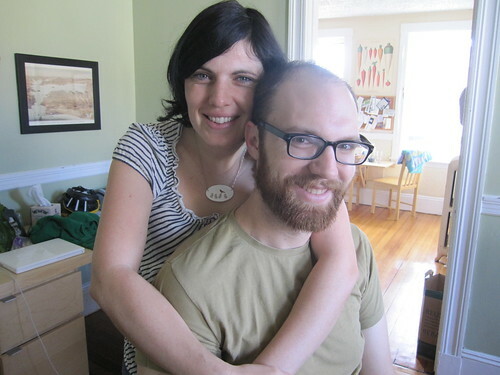 David sprouted brown rice, amaranth, two types of quinoa, millet, and buckwheat—all gluten-free grains. sprouting the seed at an angle (so the water drains out). 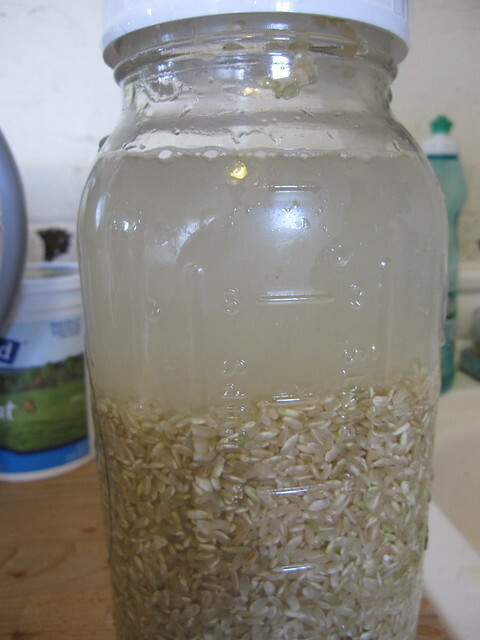 If you aren’t going to use the sprouted grain right away, it is important to dry the grain (for both brewing and storing for cooking). 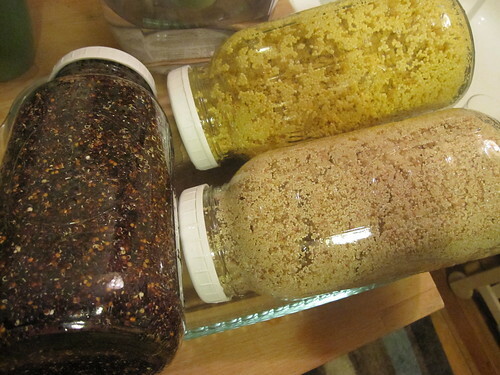 You can buy grains for sprouting in bulk, sprout them, dry them, and then store. David has a grain factory going on for his gluten-free brewing experiments, so he has purchased a dehydrator to dry large quantities of grain. 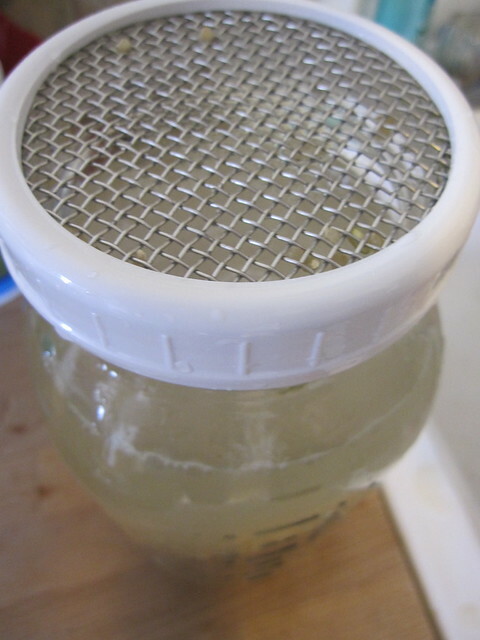 Buy the mesh dehydrator screens for drying grain or for making fruit roll-ups. You can also dry the grains in a very low oven, but it is harder to control the temperature and they must be dried at about 105-110 degrees in order to stay alive. 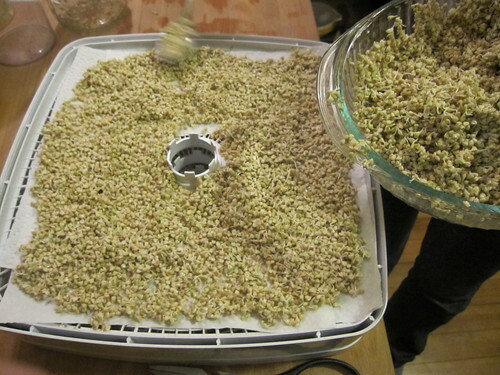 Plus, using your oven takes a lot more energy than the dehydrator. By sheer coincidence, I cooked sprouted mung beans and brown rice with some kombu sea vegetables the day before I went to Boston. They were completely cooked in only 30 minutes and were delicious. Dried sprouted grains cook much faster than regular grains and have a softer, more delicious consistency (you use less water when you cook them, too). Use them in any recipe that calls for grains. After watching David’s little sprouting farm all weekend, I now am excited to sprout grains at home—for eating, not for beer. I will keep you posted as I start developing recipes. 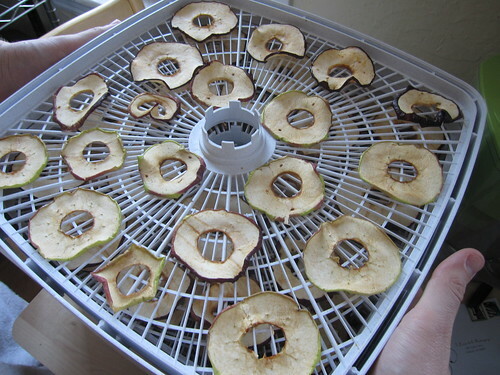 Besides drying grain you can use your dehydrator to dry fruit. 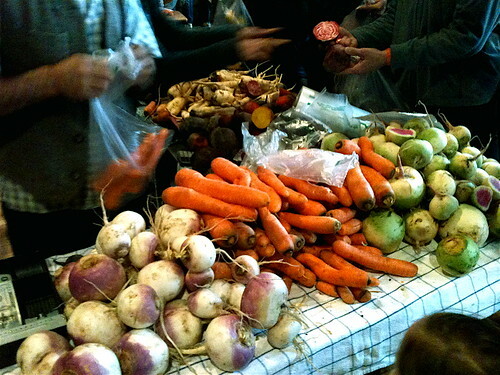 Saturday after breakfast, we walked to the Somerville winter farmer’s market. What a wonderful market…complete with blue grass music and lots of amazing products. 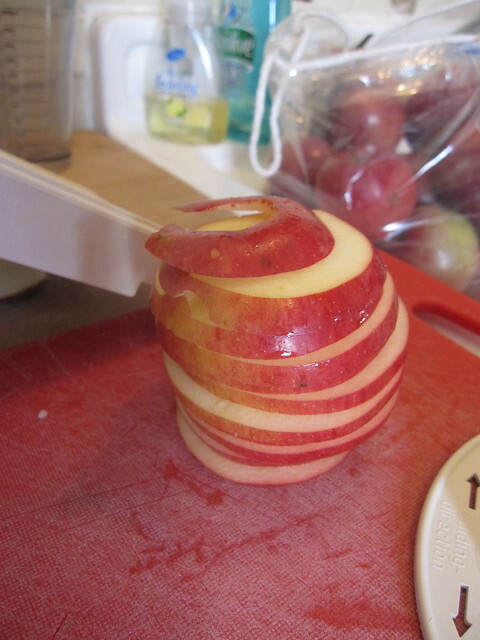 Among other things, we bought a mixed bag of New England apples and when we got home, prepared them for drying. These are great for lunch boxes or after school snacks. You can dehydrate any fruits you want. Alyssa’s grandmother used to make dehydrated watermelon and it was her favorite treat growing up. 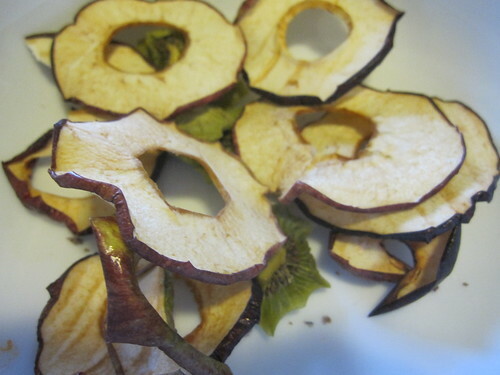 Drying fruit is a fun project to do with kids and they will love the results. 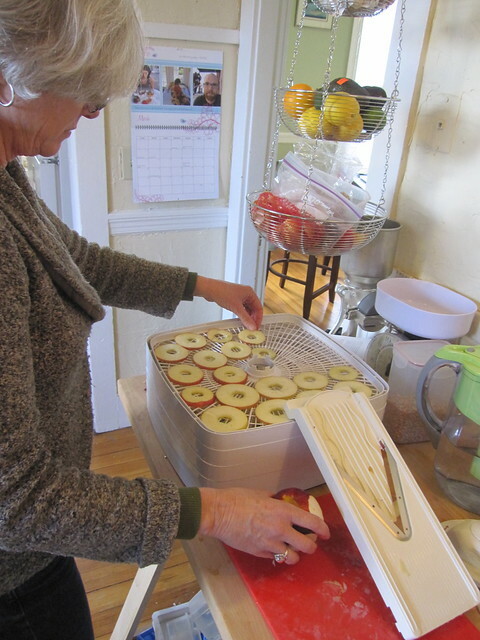 I am on the plane while I write this post—a little sad to leave our Boston family but inspired to try some new cooking ventures at home—and buy my own dehydrator. Thank you, David and Alyssa! Love hearing about adventures close to my home (I live on the Somerville border). Am trying to reduce gluten myself so this is so helpful! Dear WWW (and GGC). The sprouted grains look great. I first started sprouting red lentils when I moved to Ukraine and simply couldn't get the ingredients I was used to, especially for salads. Alas, under the healthy pregnancy eating guidelines given to me by my doc (the 'no fun' list, I told him), sprouts are strictly verboten. Even cooked (e.g. beansprouts in an asian soup). As for gluten free - my brother in law was diagnosed coeliac when he was three, and when his family comes to stay I enjoy the challenge of cooking sans gluten - relying on things like polenta and different rices to create variety in a meal. Australian shops are finally stocking a decent GF flour (only in the past year! ), which has transformed the life of every coeliac I know. we use it to make yogurt, dry fruit & veg, make fruit leather, make jerky and, recently, rabbit treats! I can't wait to hear how the beer turns out. I really enjoy gluten but I have friends and family who don't do gluten so I have enjoyed playing with recipes to make them g-free. But beer might be an exciting treat for them. That corn on the cob looks amazing, and so much fun! 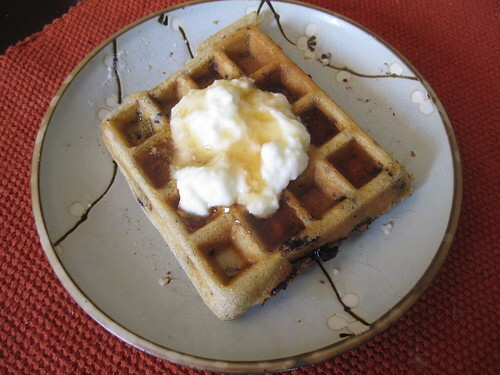 Would love to see some comfort food gluten free recipes. We are trying to GF for my son for behavior issues. Still not on board for whole fam, but eventually it would be nice. My sons (ages 3 and 1) and I are both gluten-free. We've been at it for almost a year, and I've never felt better. 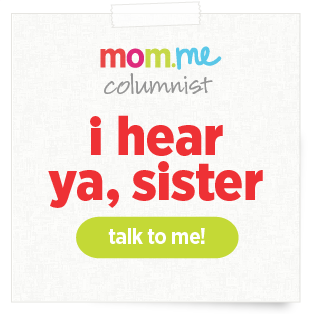 So many health issues are tied to gluten, thanks WWW for sharing this with all the GGC's readers. The only thing I have sprouted so far is fenugreek because this spice looked like tiny brown rocks to me and I didn't know what to do with it. With just a stretchy piece of mosquito net held by an elastic over a jar it is fun to see those "rocks" sprout even after years on my counter! They are good in a salad. I don't cook a lot of new recipes with 4 young children but this week I learned a new way to do brussel sprouts (make a "tombée" of the tiny leaves, all individually separated) and what to do with a finished jar of Nutella: Nutella milk! add milk and shake! This looks excellent and so much fun. :) Very informative as well, Thanks for sharing. 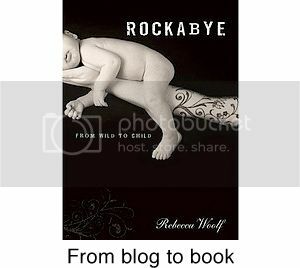 Rebecca, have you ever thought of putting all of your mom's recipes into a little index? They're so many that when I'm going through the archives I sometimes feel a little overwhelmed by all of them. 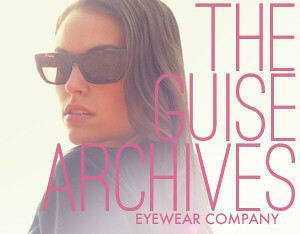 They're all so great and I think it'd be easier to browse each one by name than to go through all of the archives, no? I also have a gluten sensitivity. The only buckwheat flour I can find in my area is manufactured on equipment that also manufactures wheat flour, so contamination is a concern. Does anyone know of any good links (Amazon, etc.) where I could buy certified gluten-free buckwheat flour? 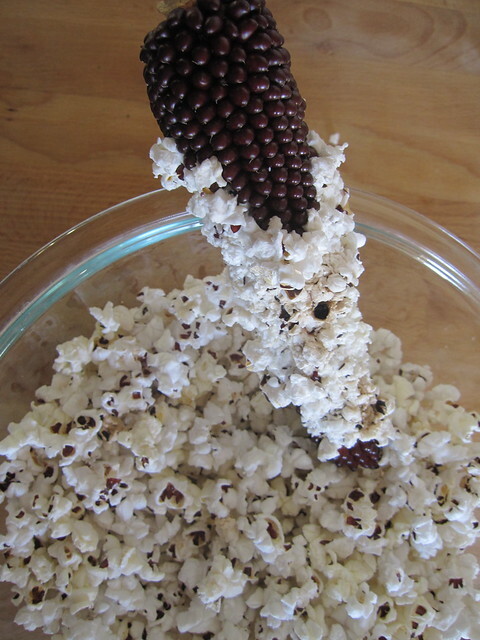 Thank you SO MUCH for the tip about the dried corn popcorn! I would love it if Eat Well would do a regular gluten-free post. I have been eating GF since December and, while I am getting the hang of it, it is sometimes hard to get inspired in the kitchen. Thanks for this post! Looking into that, yes. Thank you! Hello GGC comment-land, I thought I'd step in and answer some of the gluten-free related questions, as the newly GF-GGC family member. I'm glad you mentioned that about buckwheat, because I actually didn't realize that Bob's Red Mill and King Arthur Buckwheat Flour aren't certified gluten free. I don't know of any other GF buckwheat flour, so if you really want it, get some buckwheat grain and a cheap flour mill and grind it yourself! (I've used the Back To Basics 555 Grain mill and it's slow but it does the trick.) Whole grain tends to be a lot cheaper than the flour anyway, so if plan on using the mill often, you can also save some money that way. As far as baking goes I'm still learning, but as for standard cooking I can offer some advice to stay inspired: avoid European cuisines that are rich in pastas and breads and flour to thicken soups, etc. It gets frustrating trying to find good ingredient substitutes, and the end product usually doesn't taste as good anyway. Instead, cook food from countries closer to the equator, where wheat doesn't grow and most things are naturally gluten free. Thai food, indian food, mexican and other latin american food, and to some extent Moroccan/Ethiopian food are all relatively safe cuisines to experiment with. You can add the rest of the Asian cuisines if you use Tamari instead of regular soy sauce. Also, rice and quinoa are your best friends. There are some really great gluten free cooking blogs out there that have definitely increased my repertoire of recipes. What a great post. That popcorn looks delish! It's such a tough transition for a family to go gluten free. As a gluten free company, we know how challenging it can be to find gluten free foods that are simple and taste great. Thanks for sharing! I'm gluten free for similar reasons-no celiac disease, but it cause 'issues' so I avoid it. I've found it's easier for me to just avoid substitutes and eat more whole foods, but will put the recipe aside for a special day. Thanks for the info on sprouting-it looks easy!